Thanks to Ruby Trombetta for $6000 to buy 1,000 totes and duffels, in honor of her 100th Birthday! A Very Happy Birthday, Ruby! And a big Thank You. The History Club of Los Gatos event A World of Taste on April 22, was a rousing success! And lots of fun! Two hundred people attended, enjoying culinary treats from around the world at the beautiful History Club of Los Gatos. The proceeds from the event were a donation of $4,730 from The History Club to GFT! GFT came in #24 out of 305 Small Income Nonprofits. GFT had more participation this year, more donors who helped over 1300 local needy teens with just a few clicks. hooded sweatshirts this December, the most requested items by teens. NEW PAIR OF SHOES: Our 2015 goal is to give each and every teen a $25 Payless Shoes gift card for buying a new pair of Payless shoes of their choice. San Jose Sharks Foundation to fund the shoe gift cards. to fund the remaining shoe gift cards. 1350 shoe gift cards, one to every teen. 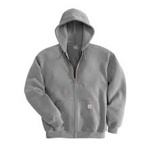 NEW HOODED SWEATSHIRT: We also want to give each of the 1350 teens a new warm hooded sweatshirt. Through strong community support this spring we are on our way to meet this goal. In December 2012 we were thrilled to receive a huge shipment of Neutrogena cosmetics valued at $100,000. The Neutrogena Corporation sent us 9 pallets of teen appropriate cosmetics in time for assembly of the girl’s and boy’s totes. This abundant shipment supplied 2 cosmetic kits in every gift bag - a wildly popular gift item with the teens! SDT Foundation has given a sizable grant for $5500 for shoes to buy $25 new-shoe cards. Teens need shoes that fit and love the opportunity to shop for a stylish new pair. We are excited to be a 2015 recipient of this SDT generous grant. In 2014 SDT generously donated $10,000, to buy all the needed totes and sport bags. GFT through their Nickels For Non-Profits Program. From this October through January 17, 2016, five cents will be donated to GFT for every grocery bag brought in by customers. Many thousands of nickels add up to filling many duffel and tote bags for the needy teenagers. GFT is grateful to be selected for this program again, having participated in 2013 raising $2,663.20. 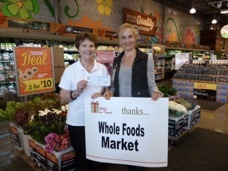 Whole Foods, Blossom Hill also donates yummy snack bars for the 1300 teen recipients. Hitachi Data Systems has donated a generous $3700 for the purchase of warm, cozy sweatshirts. We thank the Community Action Committee for choosing GFT for this grant donation. 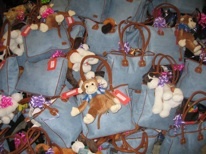 A team of local HDS employees will help pack gift bags to brimming this December. Teens will be so grateful. SanDisk has donated 850 USB drives for the teenagers to use in storing school work, personal information, job resumes, etc. A very popular useful and portable item for the kids. Meriwest Credit Union employees donated over $500 to raise money for bags and gifts. Sharks Foundation grant $24,300 to Gifts for Teens in 2015 for new shoes. GFT will use the grant money for $25 gift certificates for teens to purchase new shoes.This grant allows teens to shop for brand new shoes of their choice. We are excited to be a 2015 recipient of this very generous grant. 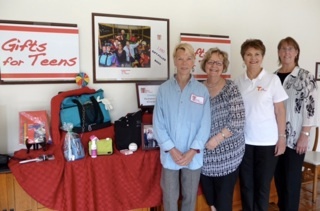 Almaden Valley Singles Club has donated $1,100 to buy apparel and fill bags with warm clothes kids love. Thank You for caring AVS members. The food was terrific,and about 30 AAUW members visited sampled food from 9 countries, and got a recipe or two. The Club is a great friends of GFT supplying volunteers in December and these much needed funds! Many thanks to all these wonderful philanthropic people.